Still a little behind on my revised schedule (which is a lot behind my initial schedule... or it would be, if I had one), but I'm making good time. Maybe. The house is finished! Exterior is, anyway. Tomorrow I move onto the interior, for which I care far less, despite the fact that it is where the bulk of my animation takes place. Damnit. 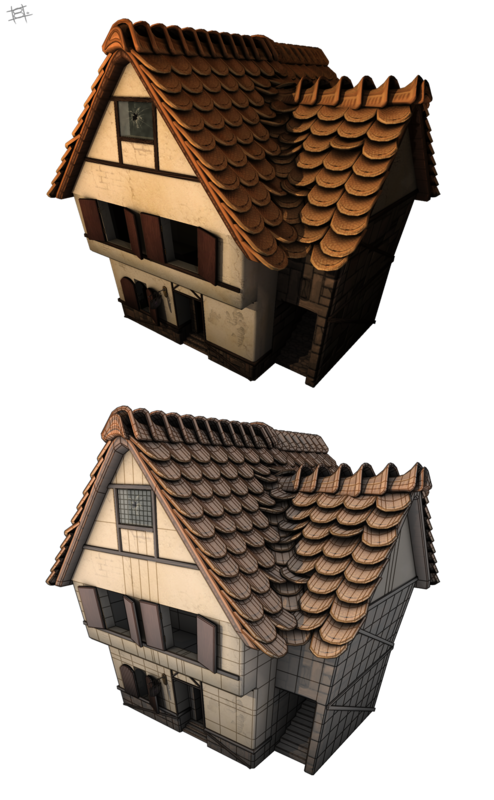 I feel like the roof tiles look a lot like biscuits... and they make me hungry.